"As a new patient, I was seen right away, I didn't feel rushed, he listened to everything I said, answered all my questions, and the staff treated me like a princess." "I've never seen in my life such a caring human being with such an enormous respect, compassion, love and professionalism for his patients." "I had foot surgery by Dr Hunter. He is incredible and treated me with such kindness and respect. He talks to you in ways you can understand. Dr. Hunter is the best." 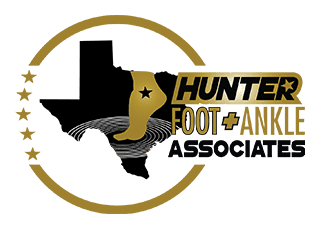 "If you have problems with your feet, Dr. Hunter is the one to see. He is great and patient. He will take the time to listen to you and try to help with your problem." "Dr. Hunter is always very personable and takes great care for his patient! He's a wonderful doctor, there should be more like him."